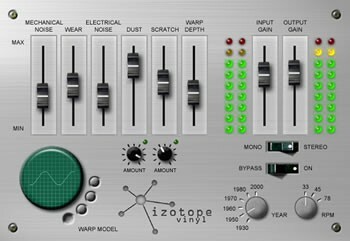 iZotope Vinyl for Winamp 2 1.0 free download. iZotope Vinyl for Winamp is a free DSP plug-in that uses advanced filtering, modeling and resampling to create authentic 'vinyl' simulation, as if the audio was a record being played on a record player. CD Scratch is a Virtual Turntables CD Player CD Scratch is a FREE, funky and incredibly fun "Virtual Turntables CD Player" performing the seemingly impossible. Smoke is a Winamp plug-in that generates audio-driven visuals through the simulation of fluid dynamics. Nullsoft Winamp is a fast, flexible, high-fidelity music player for Windows.